I can honestly say that a large part of my healing after losing my daughter Kathryn has come from helping other people and giving back. Through giving to others, I feel like I am keeping Kathryn alive and honoring her. I know for a fact that my focus on helping other people has been a very large part of finding my way back to the light. You don’t have to have a lot of money or even time to find simple ways to give back. I am so very, very excited to share this book with you: Simple Giving by Jennifer Iacovelli. Jennifer is not only a very close personal friend, but she is the creator of Philanthropy Friday, a series on her blog dedicated to sharing how others are making a difference in the world. My son Bug recently guest posted about his idea for a recess club so that everyone has someone to play with at recess. Go read it, it’s cute! If you’d like to listen to an interview with Jennifer, check out this interview here. Giving makes you happy. Seriously. Simple acts of kindness can change the world. It’s a belief that Jennifer and I share, but guess what? Science backs this up. 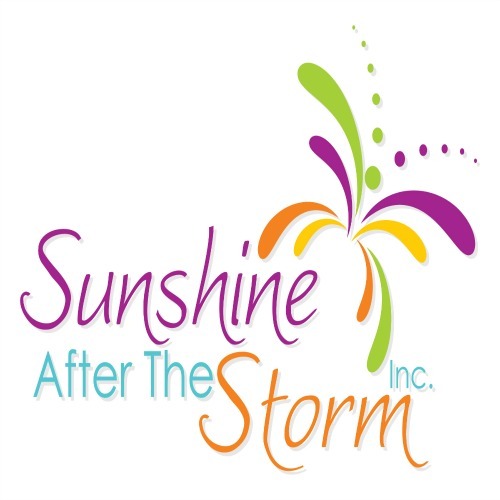 I am very proud not only to share the amazing work by my friend, but also, Jennifer shared my story about this blog and my nonprofit, Sunshine After the Storm. You can make a difference on a daily basis, and it’s not as difficult as you might think. Simple Giving includes more than 40 ideas to make the world a better place. Most people think they have to donate a lot of time and money in order to make a difference. But there are simple ways to integrate giving into our personal and professional lives that don’t involve either. In Simple Giving, Jennifer Iacovelli shows us how to make giving a part of our daily routines. It can involve something as simple as holding the door open for a stranger or paying someone else’s toll, which will brighten that person’s day. We can also think about ways to make sustainability and social good a part of our business models. After working in the nonprofit sector and soliciting and coordinating donations for ten years, Iacovelli became frustrated with the disconnect between givers and receivers. Givers (or potential givers) didn’t realize how much of an impact they could make, while recipients couldn’t thank the organization enough. In Simple Giving, Iacovelli inspires us with the stories of how people ranging from moms to social entrepreneurs are giving back in creative ways. By being more mindful of how our actions impact others and taking steps toward positive change, we also live happier and more fulfilled lives. I want to share this interview with Jennifer. She answers many questions about the book. Most of us will donate every once in a while – when a friend is fundraising or when the Salvation Army Santa is ringing his bell at the grocery store. But what are some steps we can take right now to incorporate giving into our daily lives that might not necessarily involve donating money or a specific event to inspire us? The key is to start making giving top of mind so that you recognize opportunities when they present themselves. It could be sending in extra money for a field trip fee to cover one of your child’s classmates who can’t afford it or offering to babysit for a single mom so she can have some time to herself. Take some blankets you no longer use to your local homeless shelter or write a thank you note to someone who made an impact on your life. And don’t forget to talk to your kids, friends, family and others about your actions to inspire them to do the same or join you as a simple giver. The possibilities are endless! You note in Chapter 3 that social scientists James Fowler and Nicholas Christakis have shown that acts of generosity and kindness are in fact contagious – can you explain this study a bit more? What are examples of a few, more unique, random acts of kindness that people could do today? In this study, Fowler and Christakis put together a set of games that lasted 5 rounds. In each round, 120 students in groups of four could decide how much money to give to the group at a personal cost. They were told what other people did at the end of each round. The groups were mixed so that no two people were put in the same group twice. They found that when one person gave an extra dollar in the first round, the people in her group each tended to give about 20 cents more in the second round, even though those people had been placed in completely new and different groups, with different people. This trend continued in other rounds as well. One of my favorite random acts of kindness is to put “coffee on the wall.” The idea is to purchase an extra coffee (or sandwich, etc.) when you place your order and tell the cashier to put that purchase “on the wall.” I’ve heard of this being used so that homeless people can come in and grab a hot coffee or sandwich, sort of like a coupon. It can become contagious when others get wind of what’s going on. You could also feed a parking meter with quarters or shovel a neighbor’s driveway when they are asleep or away at work. You’ve focused your blog and now this book on both celebrating those who give and encouraging others to incorporate giving into their lives. What are some ways we might leverage social media to “give it forward,” inspire others, and ultimately make giving sustainable over time? Social media is a great tool to use for giving it forward since we already have an audience that we have some influence over. If people are following you, hopefully they want to hear from you! Sharing your experiences with giving can be powerful. Check in to the organization you are volunteering for and take some photos (if appropriate) of you in action. Talk about how it feels to be there and why it’s important you work with the organization. Ask people to join you in supporting a cause and give them specific ways to take action – sharing a post, donating small items from a wish list, showing up to an event, watching a video, etc. Participate in Twitter chats on topics that are important to you. Networks like Mom Bloggers for Social Good and ONE.org do a great job of getting their members involved in global conversations, and you can join for free. Share the stories that inspire you to give or want to give more. Talk about it. Open the conversation about giving so that others will be inspired to join you! The business model of “One for One” or “Buy One, Give One” was made popular by TOMS. But there are many other companies out there that make “products with a purpose” in some way – can you give some unique examples we might not have heard before? There are more and more companies that use this model now. Mitscoots uses a Get + Give + Employ model where a purchase of their socks gives another pair to a person in need. They also employ those in need of an opportunity to get back on their feet. Shard Pottery has a Plate for a Plate program where they donate a meal to someone in need with every purchase of their products. Naked Specs, an eyewear company, partners with B1G1 Business for Good to allow customers to choose a project related to alleviating eyesight problems in developing countries. You can find more examples on my list of Gifts That Give Back: http://simplegivinglab.com/giftsthatgiveback or http://anotherjennifer.com/gifts-that-give-back/. “Fair Trade,” “Sustainable,” “Eco-Friendly” – these are just a few of the terms found on many products today from coffee to lip gloss to clothing – what do these mean exactly? Are these terms regulated at all? What other labels should consumers look for when shopping consciously? Great questions! Unfortunately, these terms have become buzzwords that many companies like to use on their packaging to boost sales. Fair trade means that fair prices were paid to producers in developing countries. This definition can become much broader when you look at the fair trade organizations that offer certification. If a company is certified fair trade, they will have had to go through a rigorous process to show they abide by the principles set forth by the organization. With that said, I’ve talked with companies that are fair trade but have not gone through this process. Words like sustainable and eco-friendly seem to be used so much that the meaning behind them has become lost. My advice is to take some time to look into the products you buy. Look at where they are made, the packaging they come in, the materials or ingredients they are produced with, and the companies behind them. Can you pronounce the ingredients? Does the country of origin have a bad reputation when it comes to ethical treatment of workers? Are you able to find information on the company’s carbon footprint or business practices? Taking the extra time to look into what you are buying can make a big difference in the long run. What is the difference between a company having a good Corporate Social Responsibility (CSR) program and making giving part of the company’s business model? Why is business practice transparency such an important thing for consumers today? CSR is another term that gets used a lot that seems to have lost a bit of its meaning in recent years. A company’s CSR program is self-regulatory and is supposed to ensure that its business practices are ethical and legal. While not required, many CSR programs also include the actions it takes to further social good. The CSR program should give consumers a sense of the company’s responsibility towards the environment and community. All large corporations should have some sort of CSR program. If that program is too difficult to find on a company’s website, that’s the first sign that social responsibility might not be much of a priority. On the other hand, if a company makes giving a part of its business model, it should be apparent when you purchase its products or use its services because the giving piece should be ingrained into everything it does. According to the 2013 Cone Communications Social Impact Study, 91% of American consumers want to see more products, services and retailers support worthy causes. At the same time, consumers can be quick to boycott a company whose irresponsible activity is discovered. Transparency is important to gain and keep the trust of consumers, as they want to see the impact a company is making and feel comfortable that they are doing what they say they will do. What were some of the most surprising statistics or scientific findings about giving and philanthropy that you discovered during your research for this book? I was fascinated by some of the research that linked giving to our health and well-being. While it makes sense to say that giving makes us feel happier – because it does! – I was surprised to see that it affects our physical health as well. One study actually found lower inflammation levels in those whose lives included compassion, altruism, and greater meaning. Higher inflammation levels are linked to stress, cancer and other diseases. Another study reported that a combination of grit and gratitude has been shown to decrease suicidal thoughts, independent of depression symptoms. I also found the idea that our pull to give might have an evolutionary aspect to it fascinating – i.e., we reward those who are more giving and punish those who are not. Sort of a survival of the giving-est. Upcoming Book about TTTS – Call for Submissions! I was pregnant again two weeks later, we weren’t even sure what happened until I couldn’t hide my changing emotional and physical state any longer and went to the ob/gyn and was nine weeks, instead of the expected sixteen. We’re expecting him in January, but my husband can’t get over the one we lost – and I’m afraid our son will suffer for his father’s mourning. I can treasure her in my heart and move on, give my life to our son – but how can I help my husband do the same?